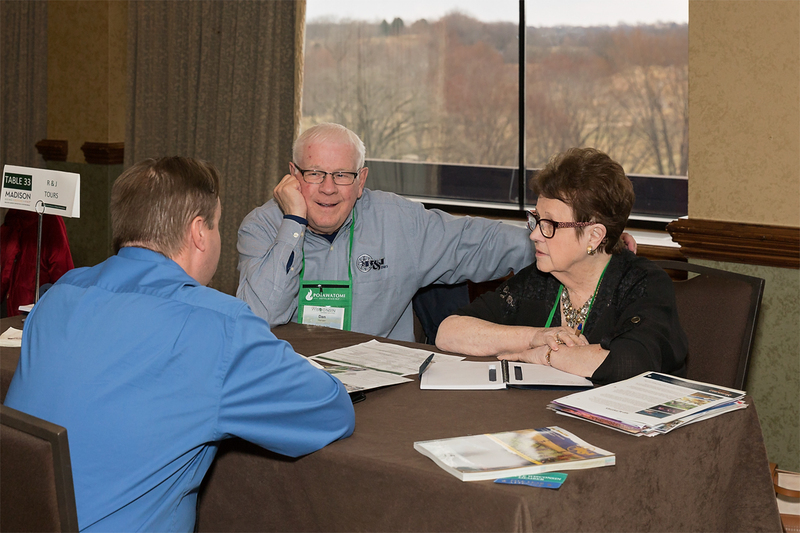 The Circle Wisconsin Midwest Marketplace is your opportunity to meet with over 90+ group-friendly suppliers from Wisconsin, Michigan, Minnesota, Iowa, Illinois, Indiana, North Dakota, and South Dakota. Network and gather ideas to create that ideal FUN adventure for your groups. Registration is only $95 and includes pre-scheduled appointments, all meals, and activities as stated in the final schedule. Overnight accommodations at the Best Western Waterfront Hotel & Convention Center in Oshkosh, WI are $99+ per night. Please plan on arriving by 1:00 pm on Sunday, April 19th. Oshkosh is located in the along the Fox River and Lake Winnebago off of HWY 41 between Milwaukee and Green Bay.